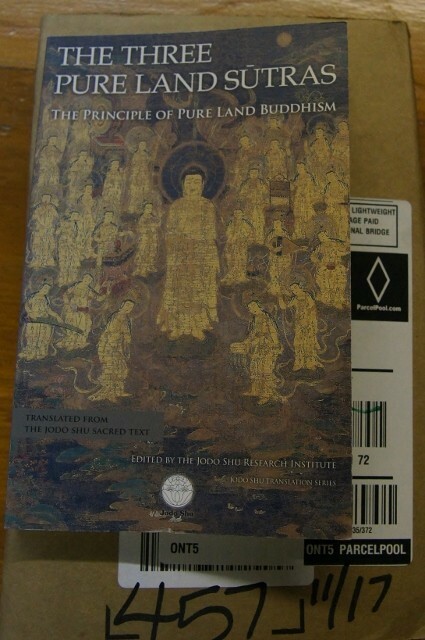 Finally, I have bought a new translation of the Three Pure Land Sutras by Jodoshu Research Institute. My first impression of this book is beautiful, especially size of the book. It's not too small and not too big. It's just right. Wonderful! I agree to my friend who gave five stars to this book at the Amazon review. I see lots of different expressons from the former translations, but it is always "new expressions" that make us aware the importance of the difference. Now this book is on Sale. It's $14.72 from Amazon.com.